Sheet metal means the metal parts with uniform thickness not exceed 6mm, by means of shearing, cutting, CNC punching, bending, welding and finishing to make custom sheet metal part. Sheet metal has many advantages: light weight, high strength and conductivity(can be used in electromagnetic shielding), low cost and good performance in mass production. With the extending of application, sheet metal become very important part of the product development process, it was widely used in medical, electronics communication,automotive, energy, heavy industry etc. Vowin prototype specialized in precision sheet metal prototyping,sheet metal production and assembly rapidly.Our design and manufacture engineering team is one of the most professional team for custom precision sheet metal fabrication in China;And Rison prototype advanced vowin.cn/en/News/news1251.html' target='_blank'>machining equipments ensure sheet metal fabrication process rapidly,accuratly, in one step. 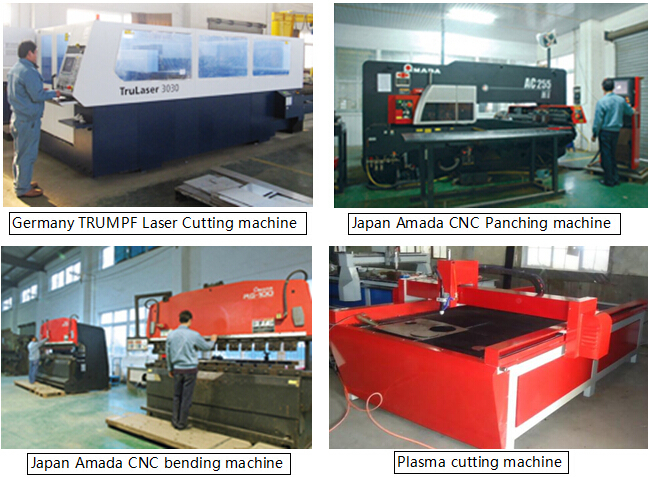 As one important member of Vowin prototype has successfully completed many tasks of sheet metal manufacturing from oversea big firms,which help us obtain good reputation in sheet metal industry of China,from single sheet metal prototype,low volume production to mass production,Rison prototype always devote all it's efforts and concentration to each project.